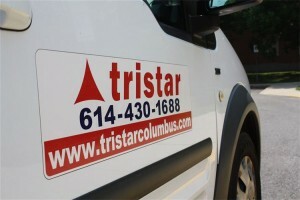 Tristar Transportation Co. is a specialized student transportation business. Since 1992 Tristar has been working with school districts and area agencies providing door to door transportation services for their students and adults with special needs to programs and job sites throughout central Ohio. Because of our years of experience working with special needs clients and the size of our fleet, our response time and flexibility are second to none. Our company’s mission is to be the safest student transportation company in the business. When a Tristar driver is matched to a client, you can be sure they have been thoroughly screened and trained. Our fleet of sedans and wheelchair vans are serviced in-house by master mechanics and meet all safety regulations before being sent out on the road each day. When you call Tristar Transportation Co. you will be assisted by our experienced customer service staff who excel in logistics and problem solving. If you are looking for a friendly and reliable company to help with your student transportation needs, give us a call at 614-430-1688 for more information. Tristar Transportation Co. is proud to be an Accredited Member of the Better Business Bureau of Central Ohio with an outstanding rating of A+ and a member in Good Standing with the Columbus Chamber of Commerce.